Meal after training is the most important meal of the day because it will complement spent reserves and helping the body easier and faster to regenerate from hard training that is physical stress on the muscles. Food is a fuel for our body, so it is especially important what kind of meal we eat during the period when it comes to recovery from the body workout. This happens 1-3 hours after exercise. The most important thing is to enable the organism quality, healthy and balanced portion of macro nutrients after every workout. Post-workout meal should be different depending on your specific goals and the type of exercise. If your goal is to reduce body fat, avoid carbohydrates in the meal after training, include in your meal include more proteins. If however you want to increase weight after training must enter easily degradable carbohydrates (honey, fruit, dried fruit, etc.). 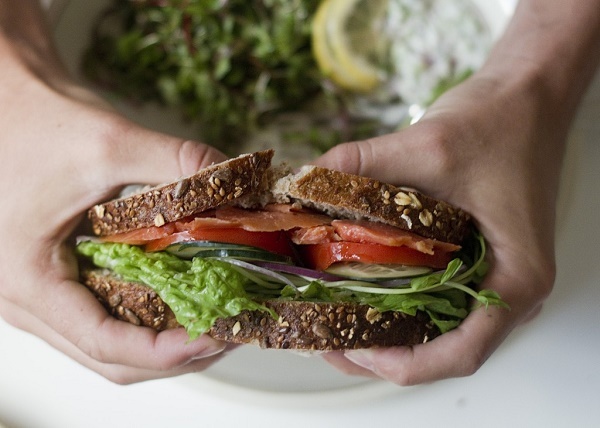 Avoid meals that contain a lot of fat, because fat need more time to release energy. Also fats slow down the absorption of protein and carbohydrates, which do not come in favor after hard training. Eggs an indispensable source of protein and contain vitamins and minerals. 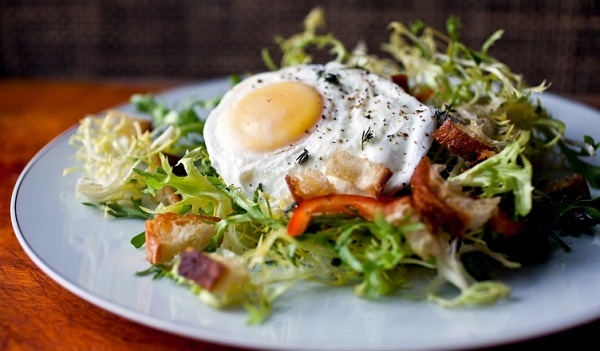 Proteins from the eggs are easily digested, so it will give you power soon . The white of the egg is mostly water, about 85-90%, 10-12% protein and less than 1% carbohydrates. This makes them excellent grocery after training, if your goal is to reduce body fat. In the white of the egg is no cholesterol. In egg yolk also has a lot of water and half of the egg yolk composition is water. Egg yolk contains vitamin A, D and E. Eggs are rich in choline, which plays a role in the proper functioning of brain cells. Eggs are an important source of protein because it contains all the essential amino acids that the body can not produce and need to consume food. 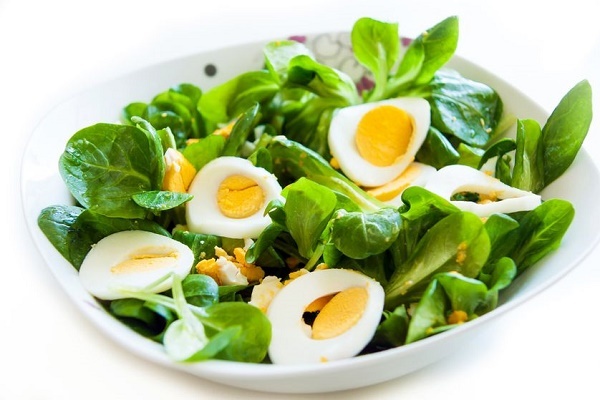 Green salad with two hard-boiled eggs is a great meal after exercise. Eggs will provide enough protein, lettuce vitamins and minerals. Lettuce can be: spinach, arugula, cabbage, cucumber and so on. Also instead of boiled eggs you can prepare and omelet with vegetables, using only a teaspoon of olive oil. This meal is great if you want to reduce your body fat. Just like a meal with eggs, the meat is a great meal after training. The meat will provide the necessary protein and salad will fill in vitamins and minerals. Vegetables also contain a lot of water which is especially important because during the workout, by sweating body loses fluids. Choose lean meat, chicken or turkey. Prepare it on the grill or bake it on a baking paper. Pour it with a teaspoon of olive oil, a little salt and pepper. 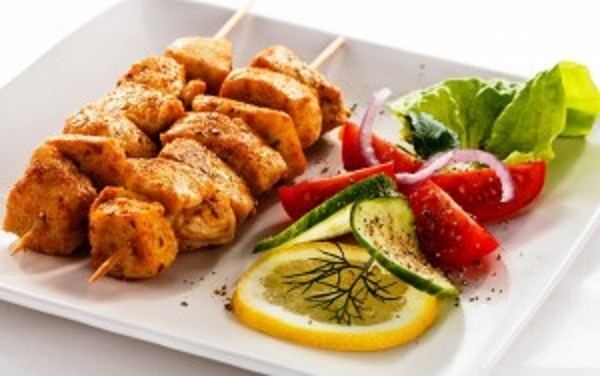 100 grams of chicken meat has about 20 grams of protein, 100 grams of turkey meat about 25 grams of protein. It is a great amount that will stimulate protein synthesis in muscle. Quinoa is an excellent source of protein. 100 g quinoa has 4,5 g protein, and unlike other cereals quinoa contains all the essential amino acids. It is rich in potassium, zinc, iron, mostly in magnesium. 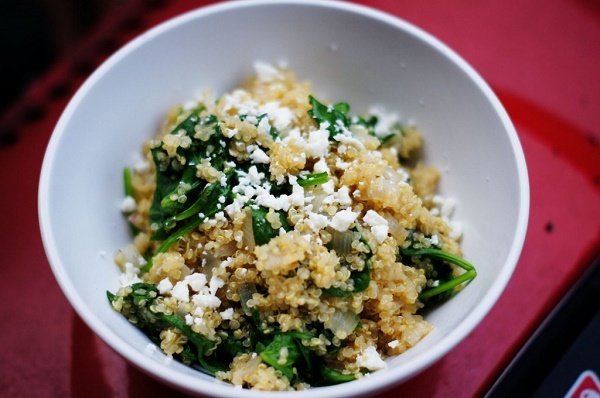 After you boil the quinoa, in a pan on the fire place 1 tablespoon olive oil, then fry the boiled quinoa in January. Pour the spinach whit hot water, then drain it and chop it. Finally grate a little cheese and mix together. This meal is great because Whey protein contains easily digestible proteins which is absorbed by the body. Banana is also great because it contains many vitamins and minerals, as well as a certain amount of carbohydrates that will help to complement the lost reserves of glycogen in the muscles and liver. 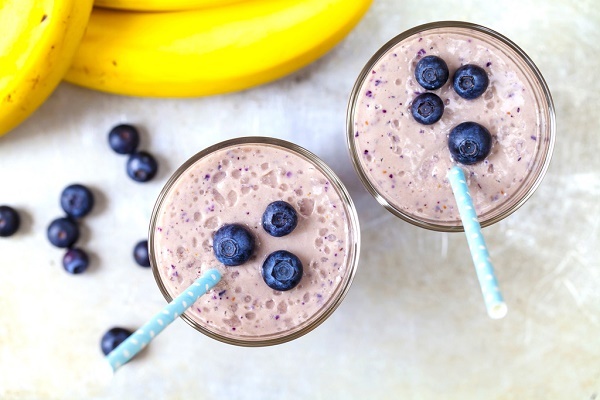 Except banana and Whey protein in this shake you’ll need a little frozen fruit if desired (raspberries, strawberries, cherries, blueberries, etc.) And 200 ml of water or milk. This is a great meal for those who want to increase their weight because this meal contains protein and carbohydrates. Piece of salmon of 200 grams contains 40 grams of protein. Salmon is rich with omega-3 fatty acids that have very positive influence on the heart and blood vessels. The daily recommended dose of omega 3 fatty acids is about 1000 mg. In a piece of salmon (200 g), there are about 3500 mg of omega-3 fatty acids, which meets the needs for omega-3 for several days.